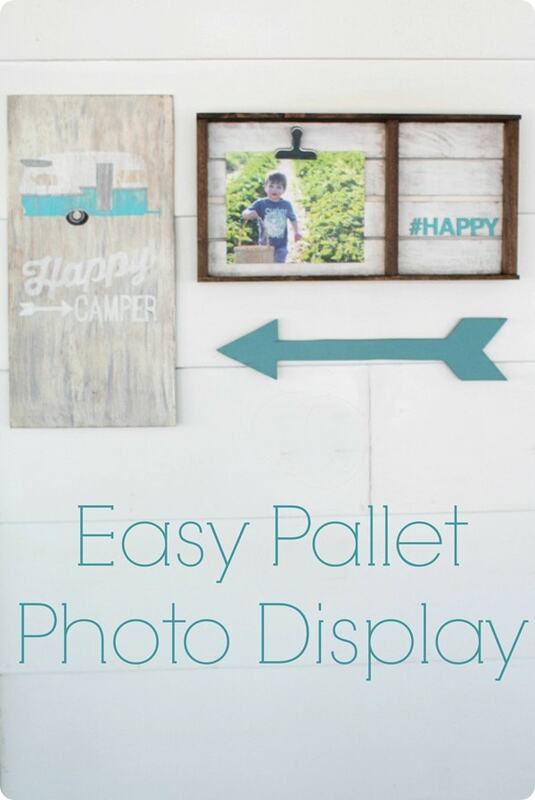 Simple pallet photo display - Lovely Etc. I am thrilled to be joining up with an amazing group of creative bloggers today for the Create and Share Challenge. It’s a monthly challenge where a group of bloggers each starts out with the same basic item and completely transforms it into her own creation. I love seeing how many different directions one little item can go. 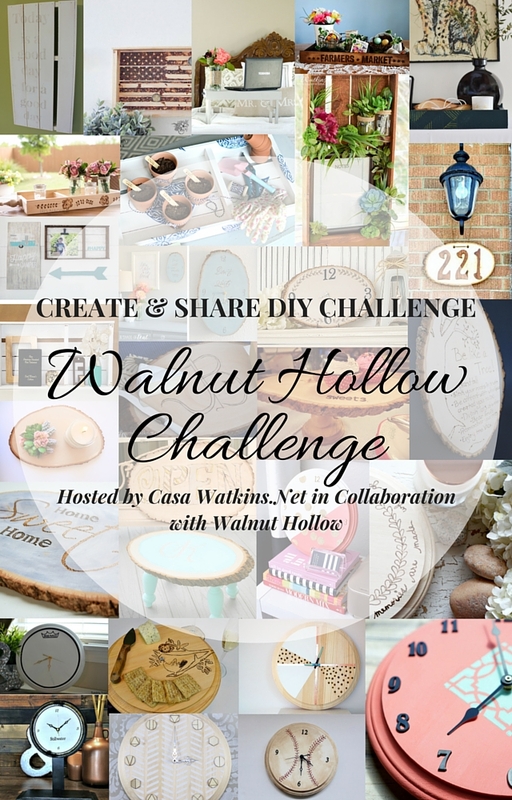 This month’s challenge was sponsored by Walnut Hollow, who provided each blogger with one item to transform. 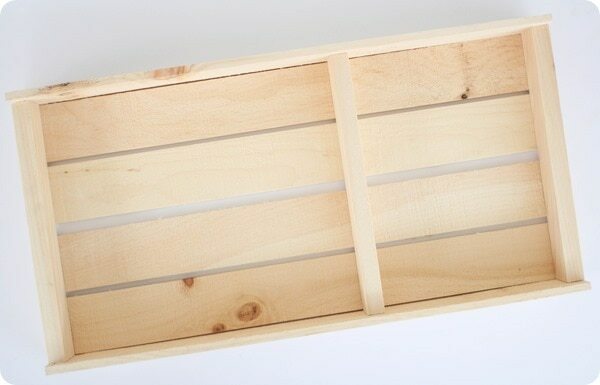 I started out with this rustic pallet tray. It was a cute little tray, but I had a different idea for it. 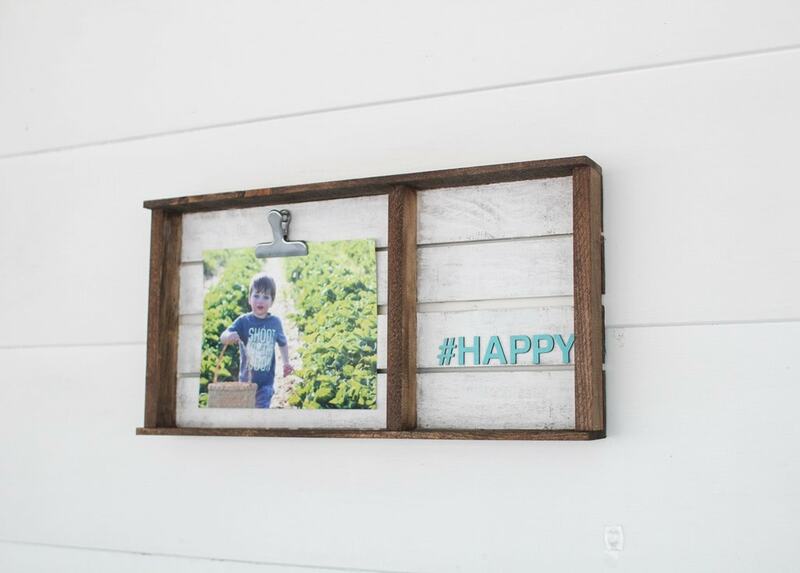 I am always looking for creative ways to display my absolute favorite kind of art – family photos – and this fit the bill perfectly. The large section is the perfect size for framing an 8 x 10 photo and the smaller section is perfect for adding a little personality. I started by painting the planks white and staining the frame. One of my biggest goals for our home is to make it a happy landing place for our family. I want our home to be light and colorful and full of happy memories. I want it home to be a place where we can rest and be refreshed and feel renewed. And at the end of a long, hard day, I want to be able to come back home and put my feet up and remember that life is still good. So when I was trying to figure out what message to add to the other side of my frame, nothing seemed as fitting as the super simple #happy. 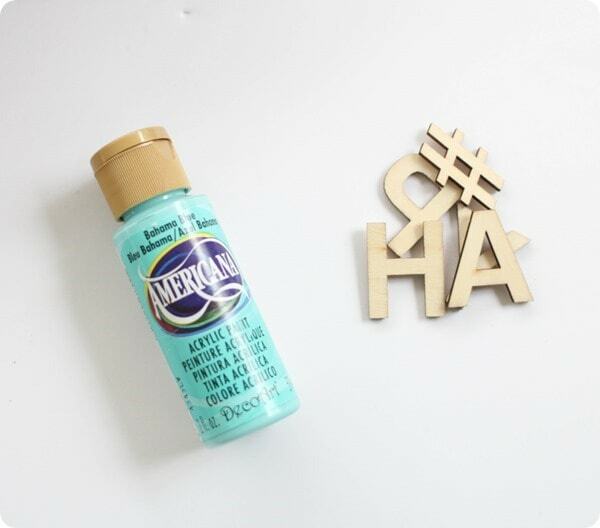 I painted some small wooden letters aqua. All it took to attach them was some simple white school glue. For the photo side, I used a large metal clip. I just nailed in a small nail and hung the clip on it. Then it was just a matter of attaching a picture hanger to the back and selecting a photo that makes me smile! 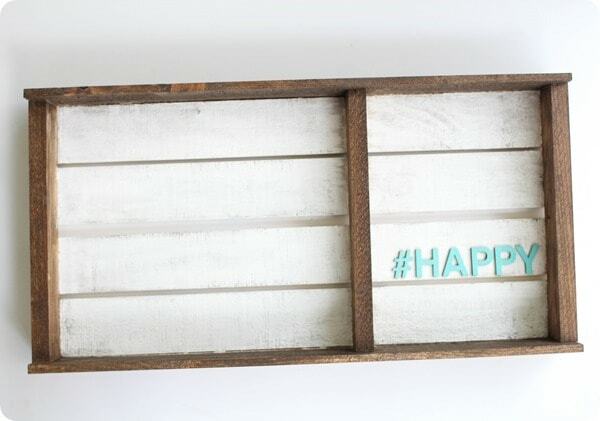 This was such a fun, simple project – I think I need more projects like this in my life! Love! For me, this is the perfect blend of rustic and modern, industrial and colorful, beautiful and meaningful. Very much #happy! I couldn’t resist playing around with creating a little gallery wall to go with it. I added my Happy Camper sign and a painted arrow (similar to these). Quite the happy little wall. I chose one of my favorite photos from last summer’s family trip to pick strawberries; I can’t wait to go again this May. And now you have got to check out the other fantastic projects shared in the Create and Share challenge. The creativity is blowing me away – and getting my creative juices going in hyperdrive! What a great idea. I love how you displayed the photo and the lettering is adorable. I may need to try this myself. Love it. This is so cute. I love the gallery wall look. Cute idea! 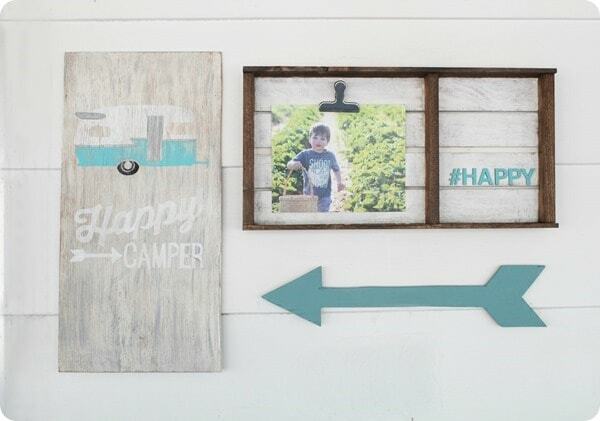 I love how easy it is to change out the picture and the white wood with the dark stain is perfection! Pinning! Thanks Cat! 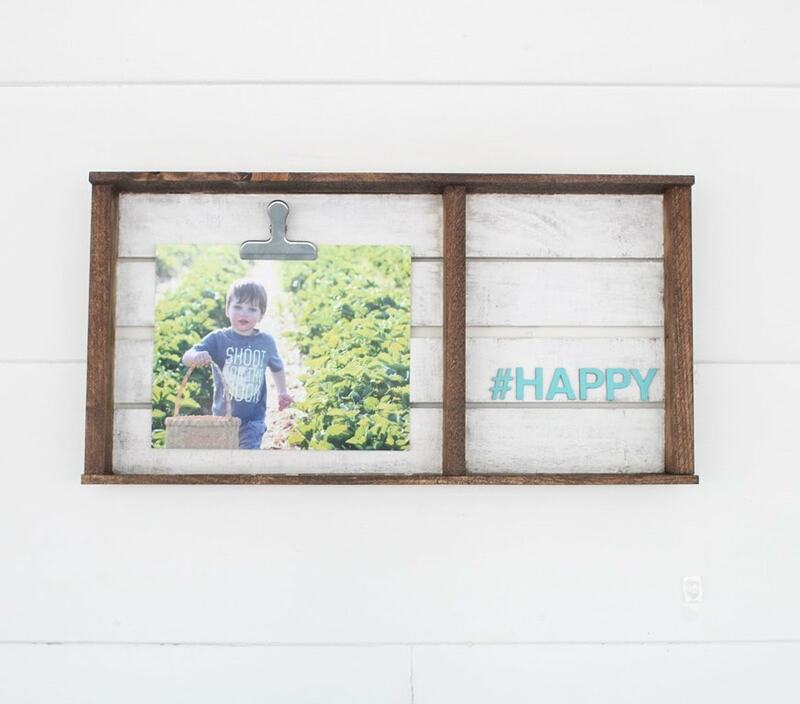 I love the ease of changing the photo as well – you could even stick a cute printable up there instead! This is too cute! 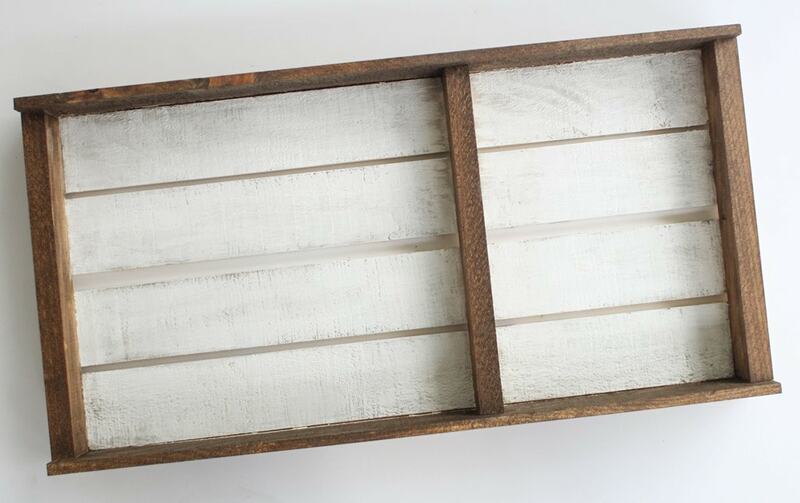 Love love the white and stained wood! Great job! Okay, this is ADORABLE! I love it! Thanks so much Iris Nacole! So adorable, Carrie! I love the white, stained wood, and aqua combo! Thanks Tiffany! That combo is a favorite of mine! What an adorable idea for a frame! So cool! Thank you April! My brain tends to go wall decor when I’m making anything! What a lovely, simple way to display (and rotate) photos. Great job! It looks wonderful. So cute and clever! 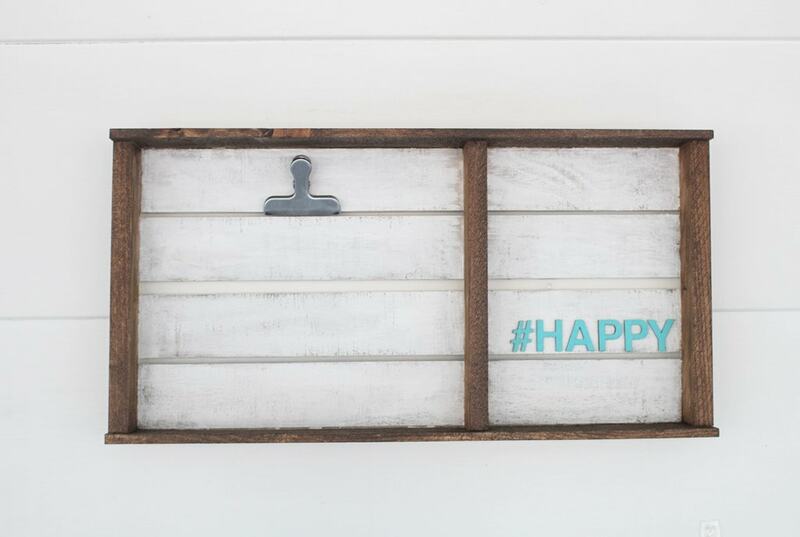 I love the way you styled this for wall art! Thank you Meghan! I am loving the way this turned out as well! Your pallet tray turned out so cute, love what you did with it. Thank you Katy! I love how it turned out!